If you follow me on my social media accounts, you would know that I am a lover of Korean food. 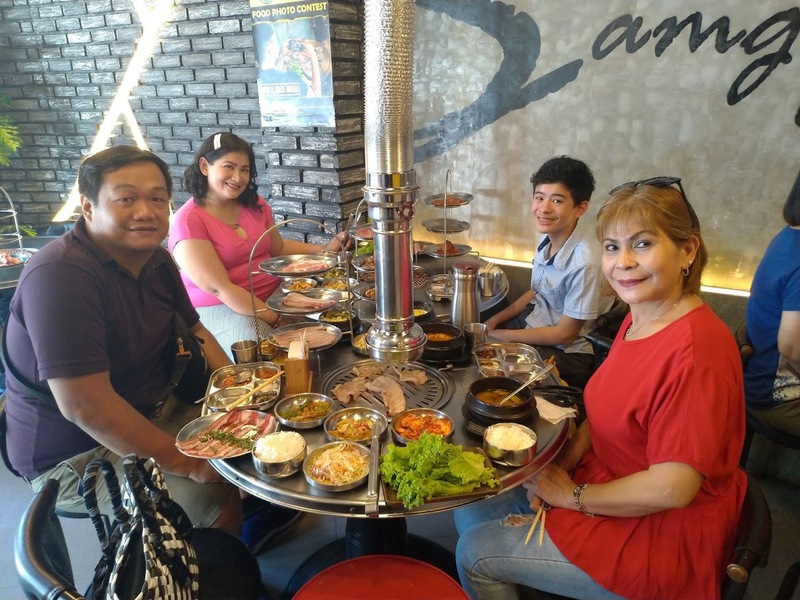 I cannot get enough of samgyupsal, bulgogi, and everything else Korean. This is also why I have been on the lookout for the best Korean places that won't break the budget. After all, Yoree and Biwon are some of the best but the price range is also up there. Since I can't afford to shell out 2k per meal, I had to go look for alternatives that would fill me up yet serve me with quality meat. Inside my village, Hanayo would be the nearest option but their meat selection is still limited. 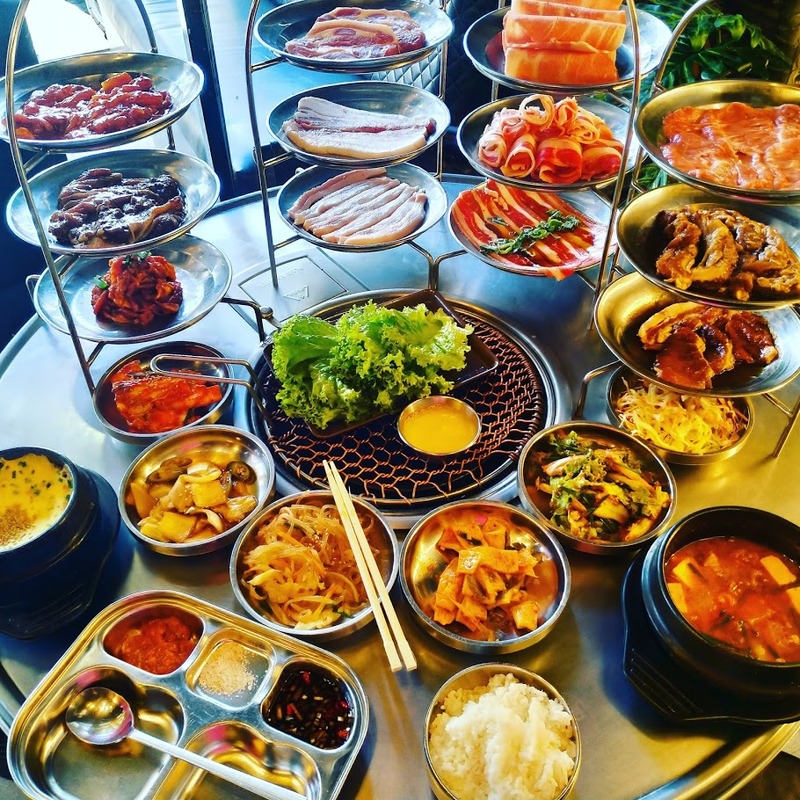 I wanted more bang for my buck so off I went to search for the best Korean BBQ Buffet in town that will also not break the bank. This place is located along Remedios Circle so it's still easy to get to even if I live in the South. There are also a lot of street parking available so there's no issue with parking. A guard is on standby so you won't have to worry about your valuables. The place is a little bit cramped but I love that the smoke thing IS SO EFFECTIVE! I've been to Korean restos where smoke is just everywhere and it really affects your experience. Here at Fantastic Chef, the place was small but no smoke escaped. It was a joy to grill and grill. Now let's talk about what really matters: THE FOOD. What you can see on the photo above is what your Php549 will get you. 8 kinds of side dishes. 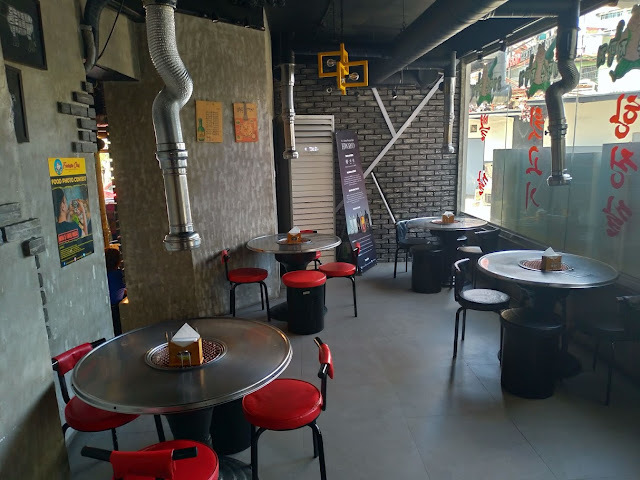 The meat selections are skirt meat, jowls meat, rack, seasoned pork neck, pork belly, thin pork belly, cheek, spicy pork bulgogi, seasoned chicken bbq, spicy chicken bbq, beef plate, and seasoned beef plate. UGH. SO GOOD. Mind you that their meat selection is not cheap. It's real pork and not paper thin pork. The chicken is so good, my Mom had two servings. The beef, sigh. It was really good too. The side dishes are Japchae, Kimchi, fishcake, pickles, muchim, coleslaw, steamed egg, Bean paste stew and lettuce. Even my son who can be a picky eater was stuffed full. 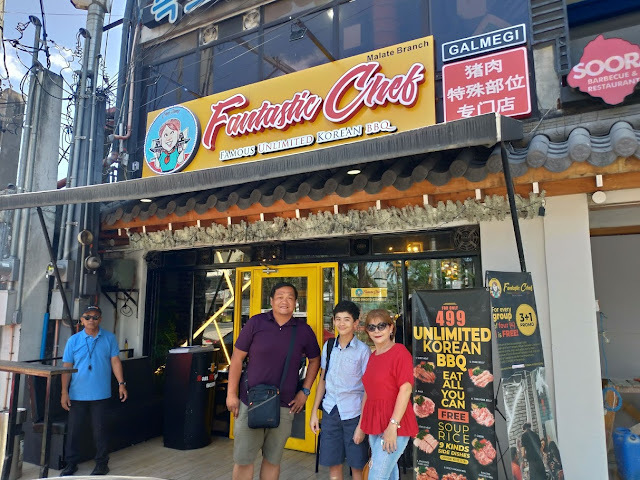 I can definitely say that Fantatic Chef is number one on my list for affordable Korean BBQ Buffet. It's bang for buck and you really get your money's worth ... even more if I may say so.